Since 1939, Fellowship Prayers have helped thousands. Help is just a “click” away! • Do you seek Good Fortune to overcome your Money Problems? • Would you like to have the Good Fortune of Better Health? • Are you in need of Good Fortune to get a Better Job? • Do you need God’s Help in overcoming Alcohol or Drug Problems? • Would you like the Good Fortune of more Happiness in your Home? • Do you have a Secret Wish that you hope God will make come true for you? • Do you pray that God will grant Good Fortune to your Dear Ones? • Would you like more Peace of Mind? To be less tense and nervous? If you answered YES to any of these questions then we can help with our Introduction to Life-Study Fellowship Package. • Prayers For Good Fortune Booklet. Eight powerful Prayers to meet these PROBLEMS triumphantly and successfully, to ask That God will Bless you with more “Good Fortune” in Life through your Life-Study Fellowship Way of Prayer. 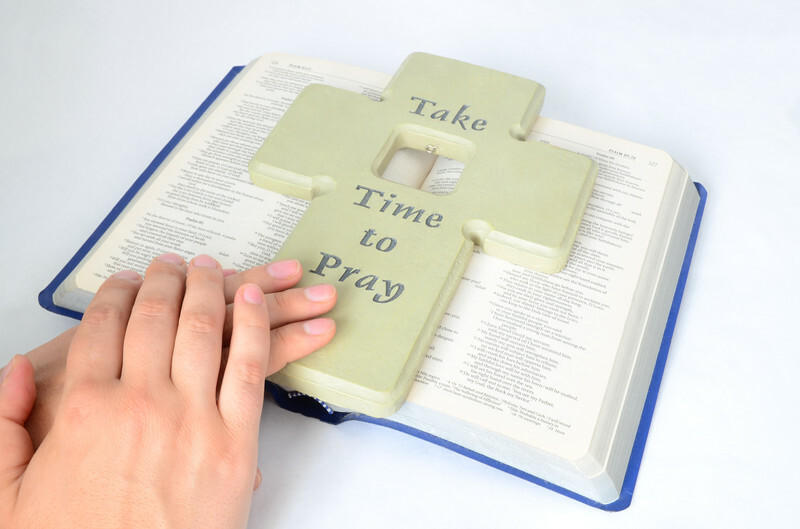 • You will also receive a beautiful “Hands of Prayer Pocket Piece”. It is a gift with meaning. The praying hands are the symbol that all good things come from God. And the message – – “With God All Things are Possible”- – is the wonderful news of hope and faith in our lives. 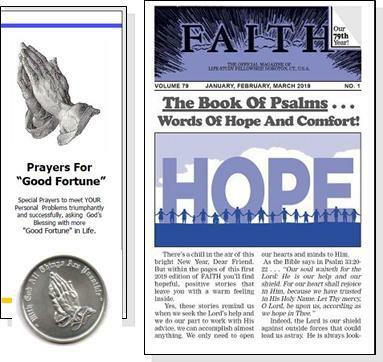 • We will send you our latest sample copy of FAITH Magazine to experience the power of prayer with our three daily prayers… united prayers that you share with Fellowship Friends all over the world. Plus all of the other features that make our FAITH Magazine so special. Leading a more prayerful and positive life is what Life-Study Fellowship is all about. 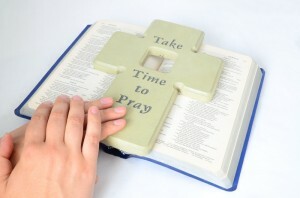 Our Prayers can help you. CLICK HERE to receive our special Introduction to Life-Study Fellowship Package. Help is just a click away!